KARACHI: All economies are required to maintain foreign exchange reserves equal to at least three months of imports, and if it goes below that, it means the economy is at crisis point and unfortunately, Pakistan is very near to this danger, said renowned economist Dr Kaiser Bengali while speaking on a dialogue programme “Our Vision of Pakistan: Impediments to Development”, organized by Ziauddin University. In last two years, he said, Pakistan took $2 billion loan from China only to maintain its reserves, which means that in future it would be very difficult to get loans from the International Monitory Fund (IMF). “We would have to accept their hard economic and political conditions,” he cautioned. Dr Bengali said Pakistan’s GST rate is 7% when it should be only 5 %, adding that the country’s income deficit is 70% higher than services deficit. “We need to reduce 20% of military expenditure to stop crisis in Pakistan. Extra ministries should be abolished. We don’t need foreign funding. We are blessed to have a country full of resources. We need to use those resources. We can bring unemployment to less than 5% and we can completely remove hunger and illiteracy from our country to zero % by using our own resources,” he further said. 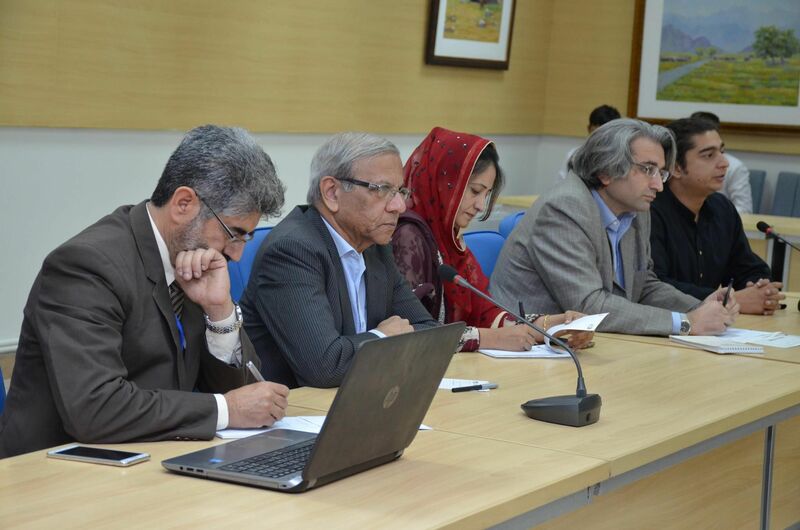 Ziauddin University Chancellor Dr Asim Hussain on the occasion expressed his surprise on the annual imports of more than $10 billion food items and over $2 billion import of cosmetics. “If we are one nation then why wasting such a huge amount on lavish lifestyles and increasing the debts through trade deficit every year,” he added. Dr Hussain expressed his concern over the national failure in changing the educational institutions’ curriculum for the last seven decades. He stated that Pakistanis should carefully study what is happening on geopolitical scene in this region and emergence of China-Pakistan Economic Corridor (CPEC), adding that there was no mention of Pak-Afghan borders since independence and we were sticking with Durand Line. National & international relations expert Dr Huma Baqai said that Pakistanis are afraid of asking the right question. “Culture of questioning has almost ended. We do not have any right to ask a question about armed forces and terrorists because we have feared in our hearts that if we will try to ask we will be called disloyal to our country. This shows our state is not strong enough to provide safety and security to common public,” she added.